Dmitri Tymoczko's "Rube Goldberg Variations" presents three recent chamber works in brilliant performances. Dmitri Tymoczko is a composer and music theorist who teaches at Princeton University. His book "A Geometry of Music (Oxford)" has been described as “a tour de force” (The Times Literary Supplement), and a “monumental achievement” (Music Theory Online). Annotator Mark Keresman writes that "Mr. Tymoczko is of the generation of composers for whom soundtrack music for films and cartoons, assorted eras of jazz, and rock carry as much literal or existential weight as the European and American notated traditions oft-referred to as 'classical'. 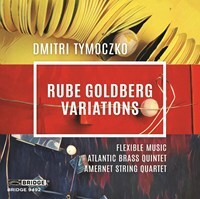 In addition to “Rube Goldberg Variations,” this release presents his equally impressive works “S Sensation Something,” and “I Cannot Follow.” Flexible Music, Atlantic Brass Quintet, and Amernet Quartet are all no strangers to contemporary music, including that of Tymoczko, and brilliantly interpret these exciting works. 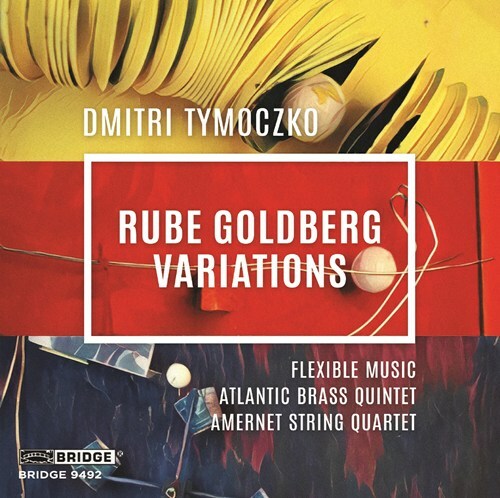 If you like Tymoczko: Rube Goldberg Variations, please tell your friends! You can easily share this page directly on Facebook, Twitter and via e-mail below.